Having trouble with your leadwork? Whether you're in need or minor repairs or a full replacement of all your lead valleys and flashings, you can rely on the team at Trent Roofing for a high standard of workmanship at a competitive price. For your peace of mind, all of our work comes with a 10-year guarantee, however we're certain that the quality of the initial installation ensures a long-lasting result. Want your property to have a really traditional appearance? Why not opt for a complete lead roof? Lead expands or contracts according to the temperature, making it a useful solution in Britain's ever-changing climate. Over our years in business, we've built up an exceptional reputation in Nottingham, Derby, Hucknall, Carlton, Long Eaton and the surrounding areas, for providing a first class service at a great price. If you're looking for experienced roofers to repair or replace any of your roof's leadwork, then you can confidently lay your trust in our friendly team. Contact us today for a free quote. "I would thoroughly recommend Trent Roofing. The whole process from initial contact and quotation to job completion was highly professional. Extremely competitive quote, polite, friendly and tidy worker. First class operation!" 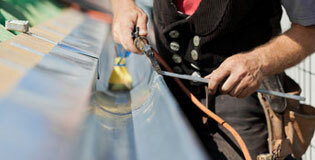 Do your lead valleys or flashings need repairing or replacing? 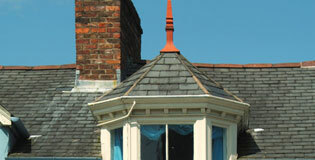 For leadwork in Nottingham, Derby and Long Eaton, contact Trent Roofing today.